A career in contemporary medicine and wellness. Humans inherently strive to preserve balance. The Eastern School of Acupuncture and Traditional Medicine Hosted the first Networking Reception for Women Business Leaders and Owners in the Greater Bloomfield Region! NJ Governor Murphy and Secretary of Education Zakiya Smith Ellis Announcement Regarding Higher Education! Take your first step on a life changing journey. Gain the practical knowledge and broad clinical experience to answer the call of contemporary healthcare - and change lives. Join us in balancing tradition with innovation as we cultivate tomorrow's holistic healers through the most innovative program in Acupuncture and Traditional Medicine. The Eastern School of Acupuncture and Traditional Medicine is New Jersey's first school of acupuncture. 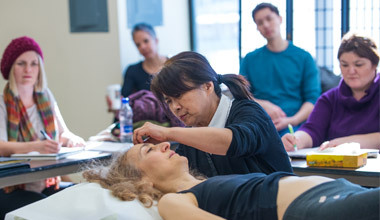 Founded in 1997, the College is accredited by the Accreditation Commission for Acupuncture and Oriental Medicine (ACAOM), the organization sets and maintains the standards for acupuncture schools nationwide. Graduates receive a Master's in Acupuncture (M.Ac.) 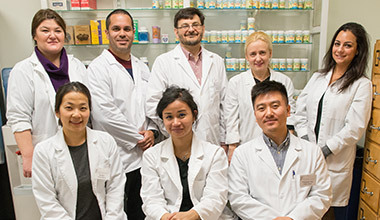 and are qualified for the National Certification Commission of Acupuncture and Oriental Medicine (NCCAOM) exam, a prerequisite for state licensure. The Eastern School is located in the township of Bloomfield. Our central location, and proximity to major highways, provides easy access for New Jersey residents, as well as those living in Pennsylvania, Connecticut and New York. — Jonathan Holasek, C.A., L.Ac. Interested in a Career in Acupuncture? with Dwight Chien, Ph.D., Dipl. O.M., L.Ac.